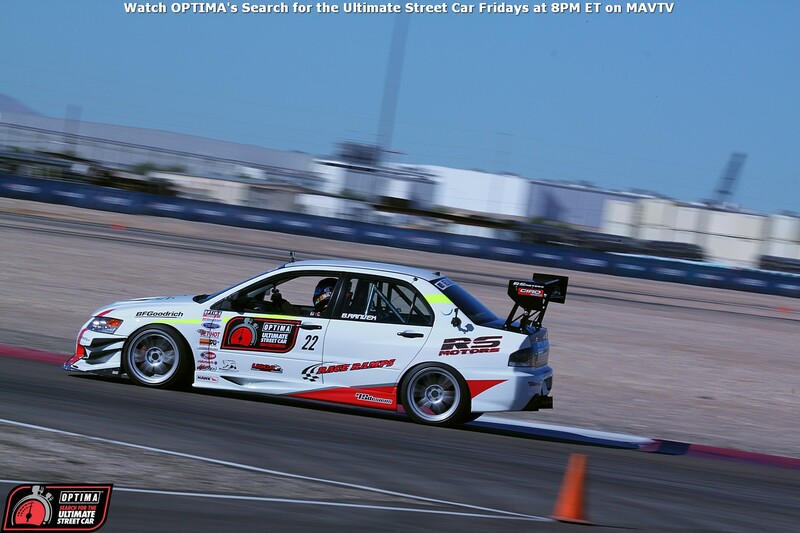 The Race Directors for the OPTIMA Ultimate Street Car Invitational, presented by Royal Purple and KN Filters, are always looking for a diversified field of entries. They're also looking for the very best street-legal cars and trucks in the world. After all, you can't really throw the "Ultimate" title on an event, if you don't open it up to every street-legal vehicle in the world. To that end, we present to you John Condren's 1991 Porsche 965. For many who don't frequent rennlist.com the first question might be, "What exactly is a 965?" You're not alone. In fact, when we reached out to one of our friends in the Porsche community, who we thought might know the answer, his immediate response was, "Oohh...I don't know, but it sounds expensive." Now we don't feel so bad for not knowing ourselves. We'd ask John himself for clarification, but as we write this, we believe he is somewhere in France, watching the FIA World Champion Truck Race (a form or racing he would like to bring stateside). While some folks will tell you the 965 designation was earmarked for a project that would eventually be sold as the 969 and replace the previous generation 911 turbo, others (perhaps including Condren) will tell you they own 965s and have seen with their own eyes wheels, body parts, bumpers, etc... all stamped "965" that do not share commonality with the 969. Still others will say a 965 is just a 964 with a turbo. You'd think the Germans would've made sure everyone was clear on this subject, but apparently the 965 is not a priority. Anyway, Condren will be bringing his Porsche (safe and accurate description) to the 2013 OUSCI and he did pre-authorize us to fake whatever information was needed about his car. 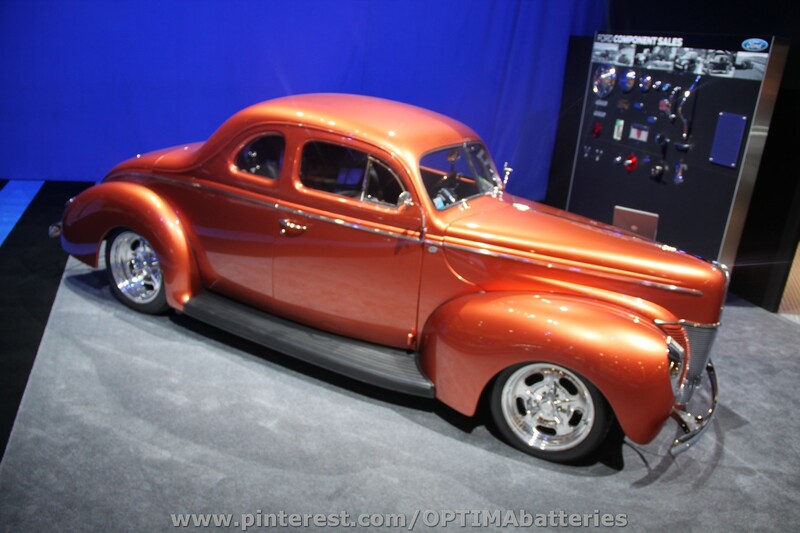 The basics of the car is that it is powered by a turbocharged 3.3-liter six-cylinder, which produces 410 horsepower at 6000 rpms and 365 lb-ft. of torque at 4500 rpms. We know we keep saying anything south of 500 horsepower is unlikely to be in contention to win, yet we keep previewing cars that have less than 500 horsepower. Trust us, the big boys are coming and they're bringing a whole lot of power with them. That will make a big difference in the BFGoodrich Hot Lap Challenge and to a lesser degree in the Wilwood Speed/Stop and RideTech Autocross, but make no mistake, big power helps in all events. That is not to completely dismiss those who fall short in the horsepower department, but to note that their's will be an uphill battle all day long, even if they're behind the wheel of some of Germany's finest hardware. John's list of modifications are limited, but that doesn't necessarily suggest a disadvantage. In fact, it might suggest that John knows exactly what his Porsche needs to run fast, hard and consistently. For safety's sake, the 965 has a fully-integrated roll cage, Porsche GT carbon-fiber seats and five-point harnesses. For performance, the car is now outfitted with GT-3 suspension components and brakes to manage the Kuhmo rubber on decelleration. A gross weight of just over 3,000 pounds also helps compensate significantly for the relatively-low horsepower numbers. We know this might not be Porsche's latest and greatest offering, but keep in mind, this car is rolling on 18-inch wheels, with 295-series tires in the back. No one was rolling on 18-inch hoops in 1991. 15s and 16s were the norm and if someone wanted to push the envelope, they'd go up to 17s, but that was about it. Condren has a very well-balanced car that was designed and built to be driven on the street, but probably just as at home on a race track and he has brought in some 21st Century improvements to make the car even better. Look no further than 2012 OUSCI competitor, Joey Seely, who proved that a well-built 20+ year old Porsche can do very well at the OUSCI. Even though Seely didn't come to SEMA thinking he'd be selected for the OUSCI, he still managed a top-20 overall finish and could've placed as high as 12th, if he had completed the Detroit Speed Road Rally. His strong performance was due to a surprising fourth-place finish in the Wilwood Brakes Speed/Stop Challenge and a very solid eighth-place finish in the Ridetech Autocross. Seely admitted he might've done even better, had he not encountered shock issues during the event. That could bode well for Condren, although we haven't touched on his own resume as a driver, whereas we know Joey Seely is a pretty good wheel man. As it turns out, Condren has been racing competitively for more than 30 years. In fact, he is the head Chump of the ChumpCar World Series (which OPTIMA sponsors). OUSCI rules stipulate that drivers can have no professional racing experience, so even though Condren runs a racing series and we sponsor it, we're confident in saying you would have a hard time convincing anyone that the ChumpCar World Series is a "professional" series (as well-run as it may be). However, John's own background in racing includes stints in the Trans Am and NASCAR Whelen Series and by his own estimate, his extensive professional racing experience would probably make him ineligible for OUSCI competition dozens of times over. That will move John and his mythical to some, yet totally real to us Porsche 965, into our exhibition class of drivers. Each year, we invite a select group of drivers to participate in the OUSCI, who for various reasons, are not eligible for competition. Why do we do this? Because it's still cool to have these guys and their cars at the OUSCI, for both our fans and our competitors. Past exhibition invitees have included Ian Baas, Paul Tracy, Sam Hubinette and Tanner Foust. It also helps remind everyone why drivers with professional experience are not allowed to compete for the OUSCI title- it's much harder to turn The OPTIMA Ultimate Street Car Invitational With Professional Drivers into a viral hashtag than our current #OUSCI We've also watched professional drivers in very lightly-prepped cars lay down times that would put a whomping on a big portion of our field and this event is not all about how fast a driver is in a given vehicle. Condren may modestly suggest he doesn't belong in the same conversation as those other drivers, but we have a feeling he'll show very well for himself and we look forward to seeing his Porsche 965 in real life. We'd also like to point out that unlike the vast majority of our field, Condren will be driving his car from his home in Northern California to Las Vegas, the OUSCI and back home again (or at least has plans to do that). If you'd like to see it, make sure you buy your OUSCI tickets soon, because less than 600 remain and the other option is to camp out on the cold and lonely highway in between Pahrump and Northern California.